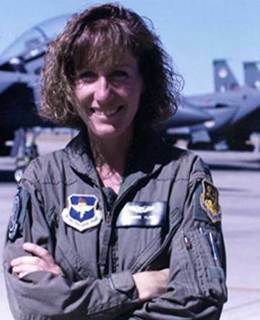 Brigadier General Jeannie M. Leavitt, United States Air Force. 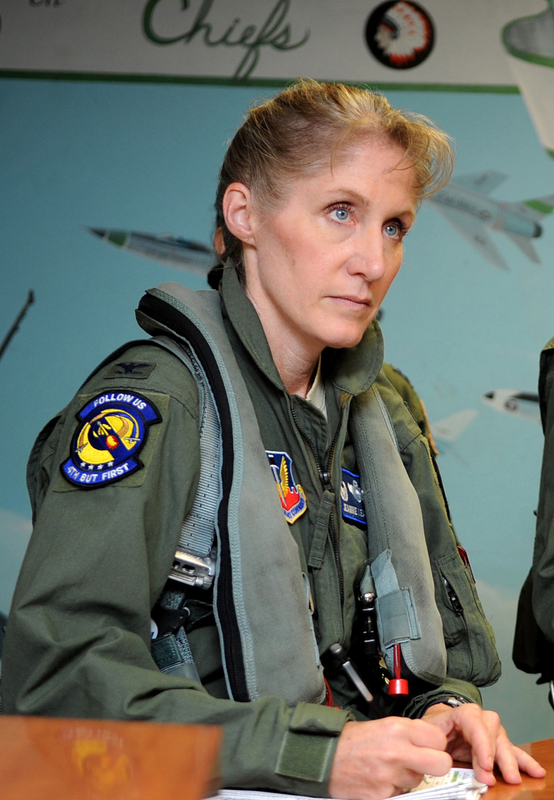 Brigadier General Jeannie M. Leavitt is the 57th Wing Commander, Nellis Air Force Base, Nevada. 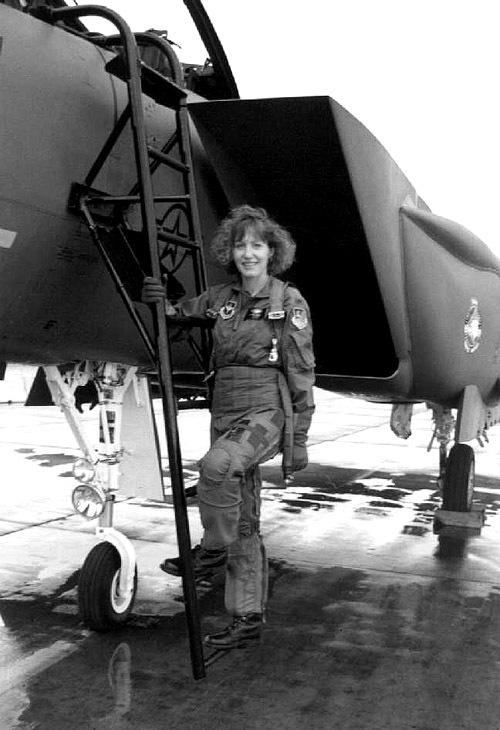 She is responsible for 34 squadrons at 13 installations constituting the Air Force’s most diverse flying wing. The wing flies and maintains more than 130 aircraft of the following types: A-10, F-15C/D, F-15E, F-16C/CG/CJ, F-22A, F-35A and HH-60G. The wing also utilizes E-3, RC-135, E-8, B-1, B-2, B-52, C-130, KC-135, C-17, AC-130U and MC-130P aircraft and MQ-1/9 remotely piloted aircraft at 13 stateside bases to support the U.S. Air Force Weapons School syllabus. General Leavitt is responsible for four groups: 57th Adversary Tactics Group, 57th Operations Group, 57th Maintenance Group and the U.S. Air Force Weapons School. 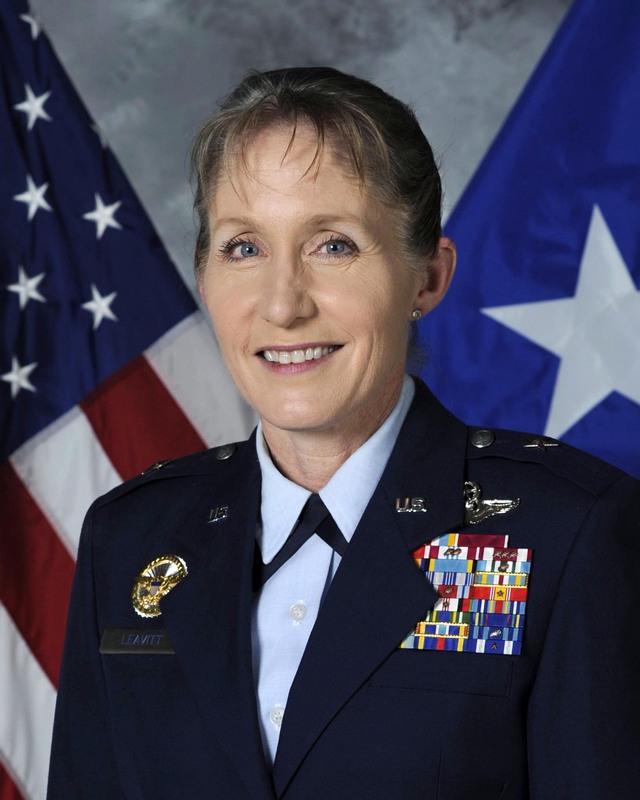 In addition, she oversees the 561st Joint Tactics Squadron; U.S. Air Force Advanced Maintenance and Munitions Operations School; U.S. Air Force Air Demonstration Squadron, the Thunderbirds; and the RED FLAG and GREEN FLAG exercises. 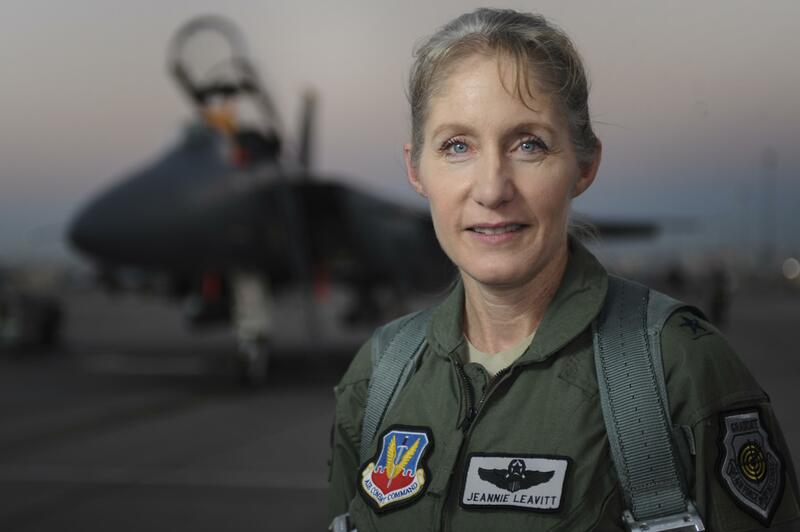 General Leavitt entered the Air Force in 1992 after earning her bachelor’s degree in aerospace engineering from the University of Texas and her master’s degree in aeronautics and astronautics from Stanford University. 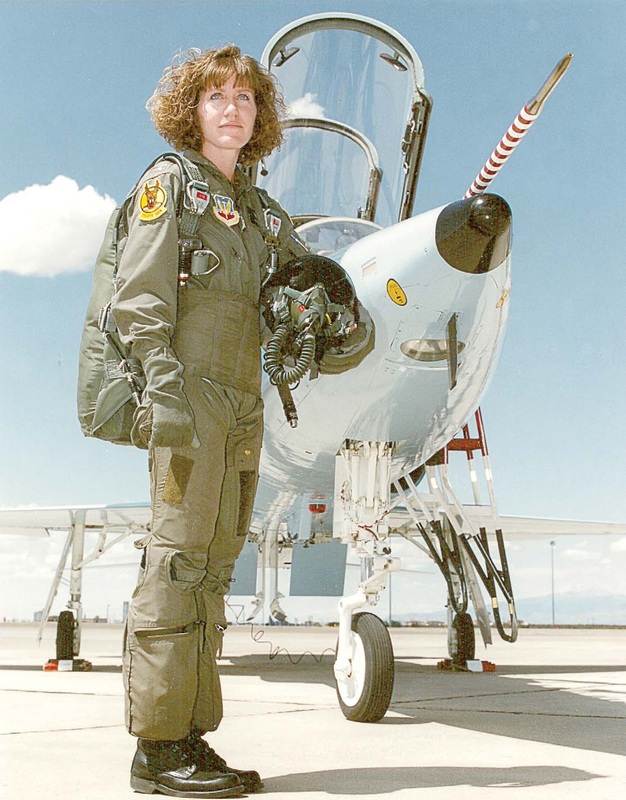 She earned her commission as a distinguished graduate of the Air Force Reserve Officer Training Corps program. General Leavitt has served in a variety of flying, staff and command assignments and has commanded at the flight, squadron and wing level. 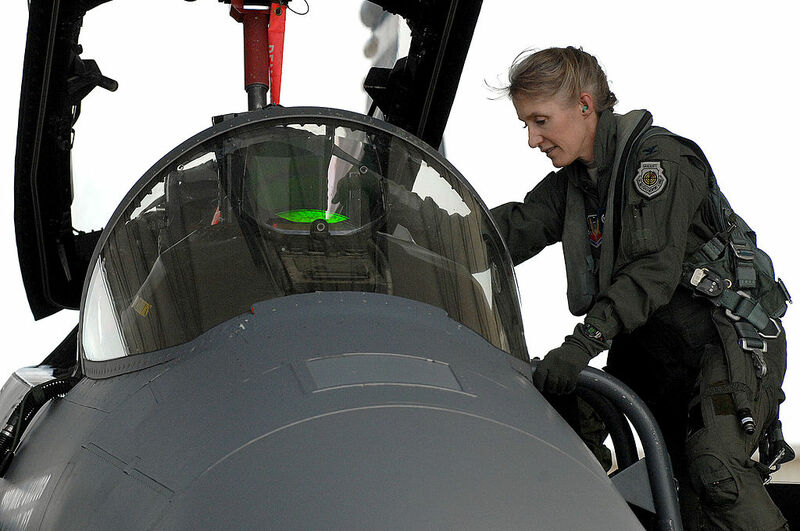 She is a graduate and former instructor of the U.S. Air Force Weapons School and is a command pilot with more than 3,000 hours. 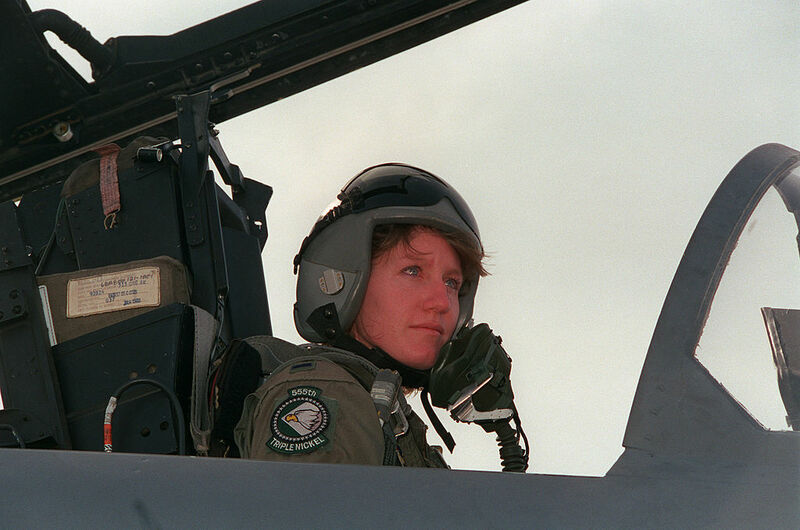 Her operational experiences include Operations SOUTHERN WATCH, NORTHERN WATCH, IRAQI FREEDOM and ENDURING FREEDOM. Prior to her current assignment she served as the Principal Military Assistant to the Secretary of Defense, Washington D.C.
12. July 2009 – June 2010, student, National War College, National Defense University, Fort McNair, Washington, D.C.
13. July 2010 – May 2012, CSAF Fellow, Central Intelligence Agency, Washington, D.C.
15. June 2014 – April 2016, Principal Military Assistant to the Secretary of Defense, Office of the Secretary of Defense, the Pentagon, Washington D.C. 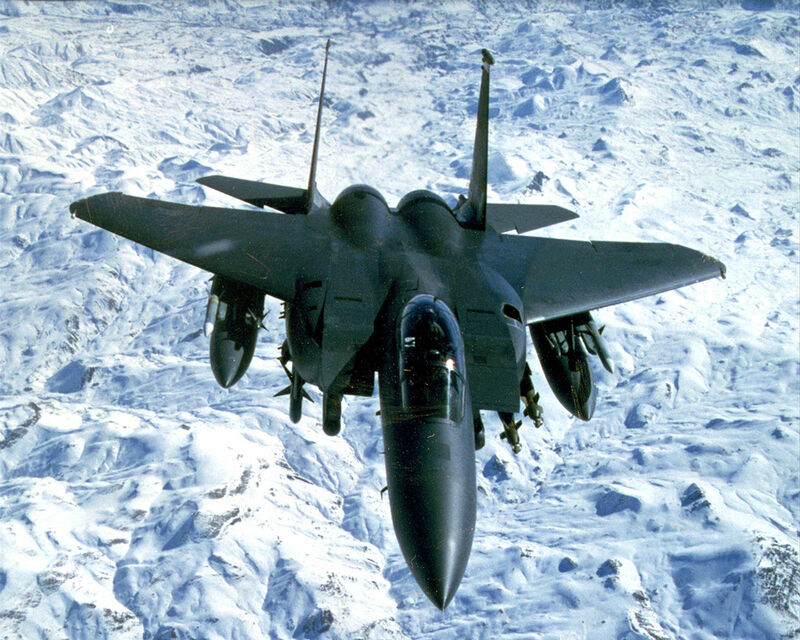 The Strike Eagle was begun as a private venture by McDonnell Douglas. Designed to be operated by a pilot and a weapons system officer (WSO), the airplane can carry bombs, missiles and guns for a ground attack role, while maintaining its capability as an air superiority fighter. It’s airframe was a strengthened and its service life doubled to 16,000 flight hours. The Strike Eagle became an Air Force project in March 1981, and went into production as the F-15E. The first production model, 86-0183, made its first flight 11 December 1986. The McDonnell Douglas F-15E Strike Eagle is a two-place twin-engine multi-role fighter. It is 63 feet, 9 inches (19.431 meters) long with a wingspan of 42 feet, 9¾ inches (13.049 meters) and height of 18 feet, 5½ inches (5.626 meters). It weighs 31,700 pounds (14,379 kilograms) empty and has a maximum takeoff weight of 81,000 pounds (36,741 kilograms). The F-15E is powered by two Pratt and Whitney F100-PW-229 turbofan engines which produce 17,800 pounds of thrust (79.178 kilonewtons) each, or 29,100 pounds (129.443 kilonewtons) with afterburner. 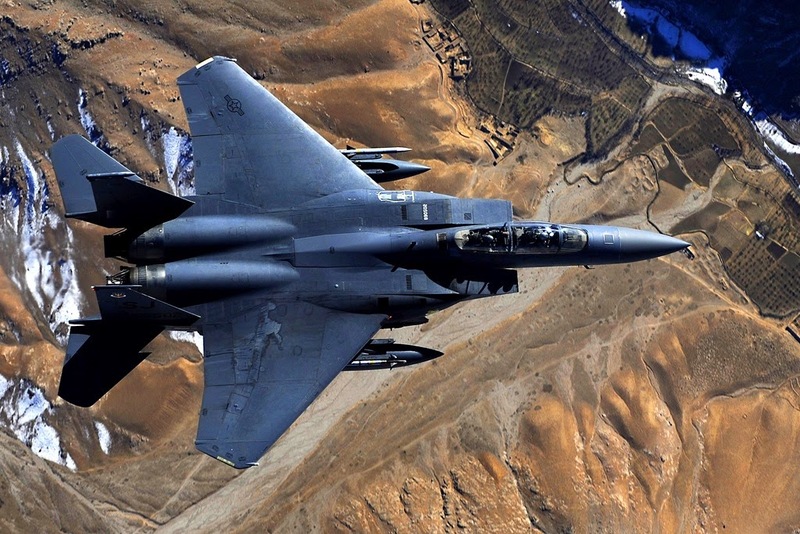 The Strike Eagle has a maximum speed of Mach 2.54 (1,676 miles per hour, (2,697 kilometers per hour) at 40,000 feet (12,192 meters) and is capable of sustained speed at Mach 2.3 (1,520 miles per hour, 2,446 kilometers per hour). Its service ceiling is 60,000 feet (18,288 meters). The fighter-bomber has a combat radius of 790 miles (1,271 kilometers) and a maximum ferry range of 2,765 miles (4,450 kilometers). Though optimized as a fighter-bomber, the F-15E Strike Eagle retains an air-to-air combat capability. The F-15E is armed with one 20mm M61A1 Vulcan 6-barrel rotary cannon with 512 rounds of ammunition, and can carry four AIM-9M Sidewinder heat-seeking missiles and four AIM-7M Sparrow radar-guided missiles, or a combination of Sidewinders, Sparrows and AIM-120 AMRAAM long range missiles. It can carry a maximum load of 24,500 pounds (11,113 kilograms) of bombs and missiles for ground attack.